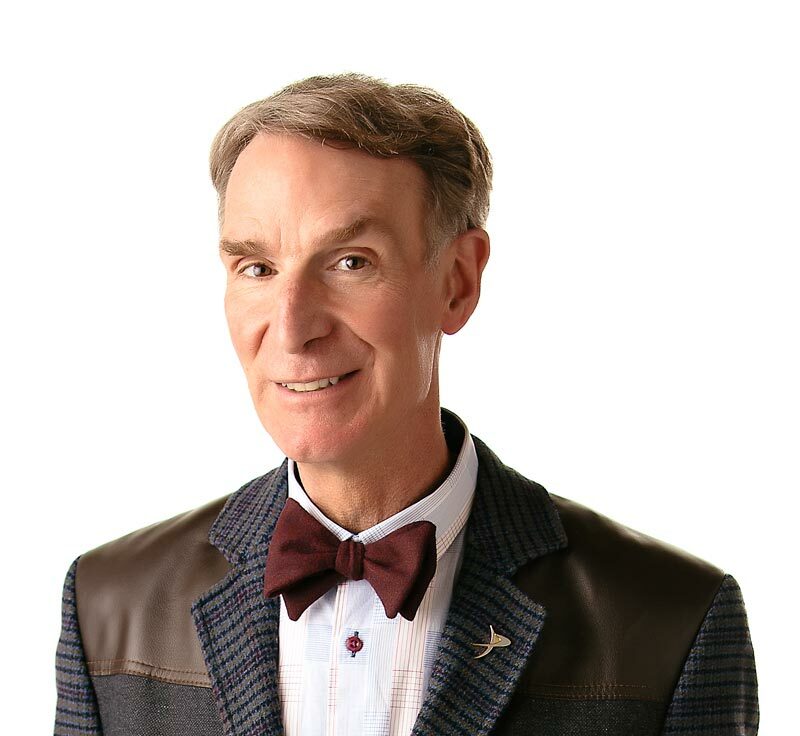 Bill Nye the Science Guy is no drip – he’s just talking about the water cycle. About 70% of the Earth’s surface is covered in water, and almost all of that water has been around since the Earth formed billions and billions of years ago. That means a glass of water you drink today could be water that a dinosaur once sipped. Water is constantly recycled on Earth as rain, snow, sleet and hail. It makes its way in and out of oceans, lakes, streams, hail, and glaciers. Scientists call the recycling of water the water cycle (not that bad, huh?). There are four parts to the water cycle. Evaporation happens when lakes, oceans, rivers, and streams are heated by the sun. Liquid water evaporates into a gas called “water vapor”. When water vapor cools enough to become a liquid, we say it “condenses”. Condensation happens when water vapor cools into tiny droplets to make clouds. Precipitation is when water from the clouds falls to Earth as rain, sleet, hail, or snow. And, collection happens when the rain, hail, snow, or sleet gathers back into oceans, lakes, rivers, streams, and glaciers. The water cycle goes around and around, all the time, all over the world. In this show, Bill Nye really quenches your thirst for science. Most of the water in the world is the same water that was here when the Earth was formed. Water moves around the Earth in a water cycle. The water cycle has four parts, evaporation, condensation, precipitation, and collection. The most intense rainfall we’ve ever seen happened on November 26, 1970 when 38 millimeters (1.5 inches) fell in Barst, Guadaloupe in just one minute. It rains 350 days a year at Mount Waialeale on Kauai, Hawaii? A record for snowfall was set on Mount Shasta, California when 480 centimeters (189 inches) of snow fell in one storm in 1959? “Water Water Everywhere” by Mark J. Rauzon and Cynthia Overbeck Bix. Published by Sierra Club Books, 1993. “Wonderful Water” by Bobbie Kalman and Janine Schaub. Published by Crabtree Publishing Company, 1992.